This article is my endeavor to introduce the issue of Cyberbullying to ensure that parents and educational facilitator are aware of this growing social concern which is slowly but consistently spreading like a contagious disease. Bullying and mean behavior have been there in this world for centuries. However, the growing use of technology has taken this mean behavior in a different league altogether. For parents, it has become more difficult as we are not able to take a decision when to step in to stop this calling concern. This task becomes more challenging since children today use technology differently than we do. Multi-tasking is common. They might be playing games or watching something online or chatting on social media or sending some text messages at the same time. This is most common amongst early teens and teens. You might find most of them logged on Facebook or even Tumbler all day nonstop. Thus their expertise and ability in using technology for communication can be sometimes intimidating to parents. What is a Cyberbullying or Cyberstalking? 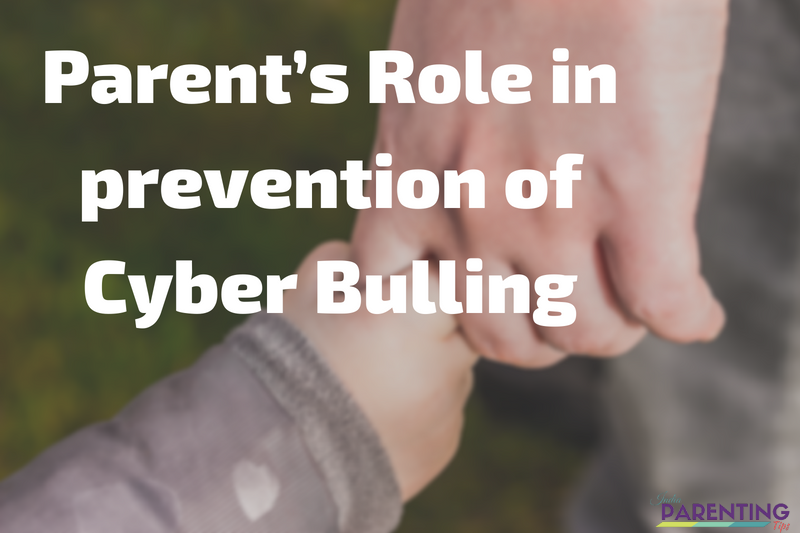 Parent’s Role in prevention of Cyberbullying. Role of a Teacher/ School authorities. 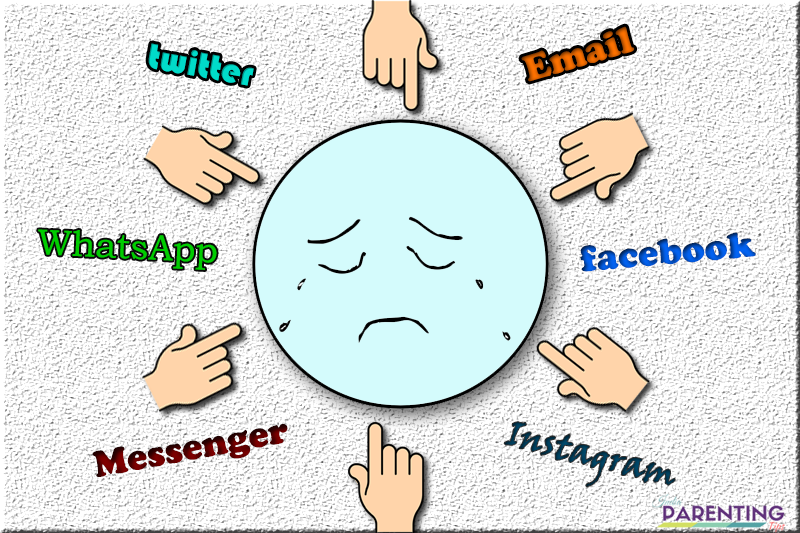 Anti-Cyberbullying Law in India, U.S. & U.K.
Cyberbullying can be defined as a form of bully which involves a negative use of electronic means of Communication and Social platforms. This could be computers, cell phones, tablets or even game consoles. Social platforms include social networking sites like Facebook, twitter, messenger, interactive games and so on. Even emails and text messages could be a source of cyberbullying. Examples of cyberstalking could be some embarrassing comments, photos, criticism, mockery, posts, abusive and obscene emails, and contents by creating fake profiles of the victims embarrassing and humiliating them in public. 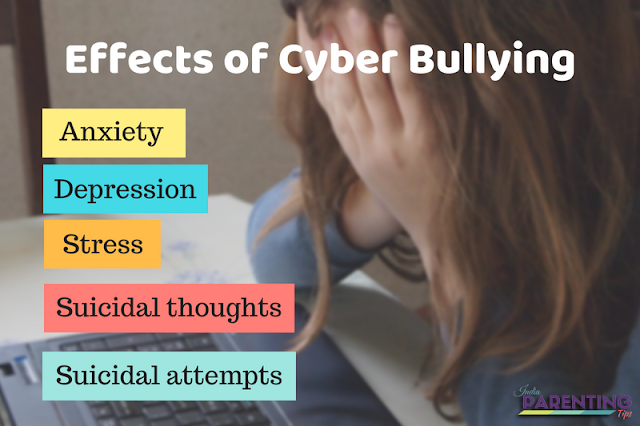 Sadly, Cyberbullying is widespread and more prevalent amongst young budding minds and is growing at a phenomenal pace. What makes a Cyberbullying special and how different it is from normal bully or pranks? Unrelenting and Perpetual: Since the Digital platform has the competence and capacity to be persistent and continuous providing 24x7 services cyberbullying can be endless. Fixed and Immutable: Until and unless such harassments are identified and reported such information and malicious content are saved forever in the electronic media. This leaves a dangerous impact on the victim as it becomes impossible to forget such an unfortunate instance as a bad dream and move forward in life. Subtle nature of Staking: Since parents and teacher are not able to identify victim being bullied with open eyes it becomes very difficult to understand and identify if the victim is targeted and victimized. Suicidal attempts and such dangerous trappings. Being emotionally charged and upset after using electronic media be it mobile phone or laptop or any other device. Being highly sensitive and reserved for one’s virtual life. Being covert and zipped from friends, family or relatives. The tendency to avoid social gatherings. Sudden mood swings and behavioral changes. Loss of temperament and rude behavior. Exhibiting stress and nervousness when any new messages are posted. Loss of appetite and sleep changes. If you realize that your child is a victim of cyberbullying first and foremost do not get hyper and stress yourself. You should be the one opening the door of hope and a permanent solution to the concern and not be sympathized and consoled. This is important to realize. You got a role here to play and it is something no one else can do what you can do for your child. Comfort the child and show your support that he or she is not alone. You are one team, one family. Clear the mind from guilt and lament of the child and let him or her know that it is not his or her fault and most importantly Its Okay. Everything will be fine now. Give him or her your strength to face the world and respond confidently to cyberbullying. That would bring back his or her self-confidence back. Block the Stalker permanently from all the devices. Change the username account and password for the child. Review your child’s privacy setting and reset it along with location change. Limit the use of technology and use the parental control in websites. Try to know your child’s virtual world. Take help from cousins or friends who can be few years elder to your child to ‘follow’ him or her or ‘friend’ him or her on social platforms. But be careful in not to encroach or abuse this privileges. The person can be a silent observer or guide and nothing more than that. Devise tactics to keep your child busy and active without the use of electronic means and devices. It could be some extracurricular activity like sports, crafts, music or reading or painting. Know your child’s skillsets and interest and guide accordingly. Give him your time. That is very vital. If you are a teacher or person from School management, here are some cool tips for you which could aid you to better address such prevalent needs especially when you play such a philanthropic role of Nation Building in shaping tomorrow’s future. The child shows withdrawn and disinterested in the class. The progress of the child is slowed down and the child shows a lack of interest to improve. Sudden behavioral change in classroom-like withdrawn or secluded or sudden outburst of anger and rude attitude, use of wrong languages. Not interested to talk about his digital life. How can you help as a teacher? Once you identify the child being a victim, try to reach out to the child talking in privacy and see if he or she opens up to you. Do not be intimidating and bossy. Try to be considerate and friendly with the child as a confidant. Play your role as a facilitator in speaking to the parents and school authority to jointly try to address the need. Try to understand the digital behavior of the child with parents’ help. Plan to develop activities that involve self-observation, discovery, brainwork and self-control skills which can aid the children to fight out such menace in the society. If you know yourself better and know when to stop and when to be careful in life you need no extra guide to control you. While Cyberbullying itself is not considered as a criminal offense and it not covered under a specific law of a country like India, or UK law or US federal law, in committing this particular act of bullying a person is committing an offense under different acts. For example, In India, we have our fundamental rights which give us protection and security against various injustice and crimes. Like right to Equality, Right to life and so on. There was a special committee like Raghavan committee report which had given the recommendation that the teachers and the principal shall be made liable if any acts of such bullying take place in School premises. In the UK, a person committing cybercrimes may be violating many laws and might be charged with a criminal offense under Protection from Harassment act of 1997, Malicious Communication Act of 1888, Communication Act of 2003, Obscene Publication Act of 1959, and Computer Misuse Act of 1990 and so on. In the US, although there is no particular federal law for Cyberbullying, we have the support of 48 states which have electronic harassment laws that clearly and explicitly included the prevalent societal malevolent act of cyberbullying. Hope I was able to make the Issue of Cyberbullying more easy to understand, identify and devise solutions to address this growing social threat for the safety of our children in shaping a better society and world. It makes me wonder that when cyberbullying is a harassment, what is stopping our country’s laws! Be it, the federal law of US or UK laws or Indian penal code in legislating it as a criminal offense?